Julius Theodore Melchers (1829-1908) was born in Westphalia, Prussia. At age 15, he studied at the Ecole des Beaux Arts. Before immigrating to the U.S. he was a modeler at The Crystal Palace in London and carved figureheads for ships. 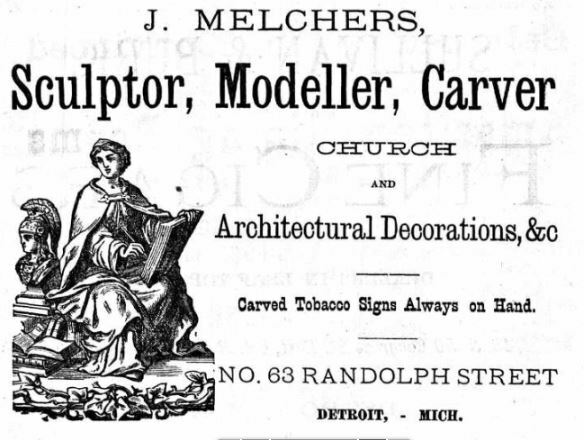 He could be considered Detroit’s father of architectural ornamentation. In addition, he was city’s first art teacher with over 150 students, including Albert Kahn, Hugo David Phol, and William Sommer. 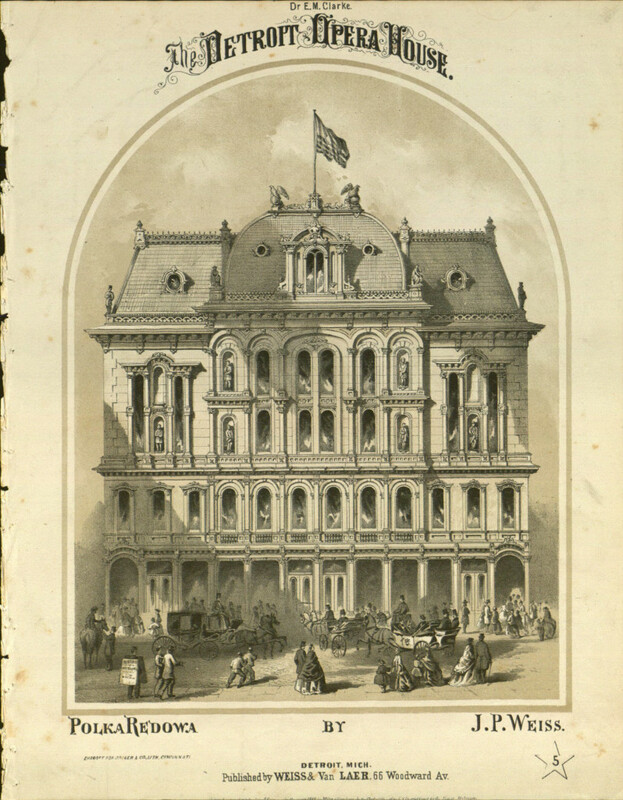 From 1890-1895, Melchers partnered with Henry A. Siebert. 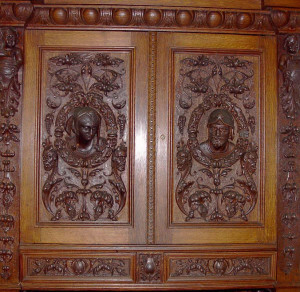 During the Gilded Age, he became widely considered one of the finest and most influential carvers of his time. In 1897, he received the AIA Fellows Award. Melchers was one of the founders of The Deutsche Theatre-Verien (1853), president of the Harmonie Society, and was a freemason.